There are many different translations of the Bible out there, so what about the Today’s New International Version or the TNIV? Some of the best translations of the Bible that I know of are the New King James Version, the English Standard Version (ESV), the NASB (North American Standard Bible), but now the TNIV or Today’s New International Version is out. It’s similar to the NIV, but it’s even gone further than the NIV has, so if you were to ask me which Bible version is best for preaching, teaching, and studying, I would say the NASB or the ESV. There are many other good translations that could be included in this list, but I think the NASB does the best job of any Bible translation there is for the Greek, Hebrew, and Aramaic, in both the Old Testament and the New Testament. One Bible to steer clear of is the New World Translation (NWT) which is used by Jehovah Witnesses. 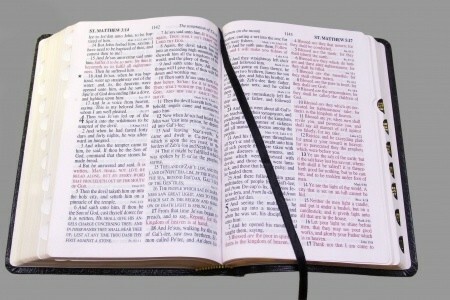 This is clearly a heretical Bible and here’s why. In the Gospel of John, the best manuscripts say, “In the beginning was the Word, and the Word was with God, and the Word was God” (ESV, John 1:1), but the NWT inserts an indefinite article to make it “and the Word was “a” god,” not even capitalizing Jesus’ name as the Word and as God. What an insult to His deity, and by the way, there is no indefinite article in the Greek language (which they have used!). This proves that this cult is actually reading their theology into the text and making the text fit their beliefs, and they’ve gone so far as to have written a Bible to fit their wrong beliefs, so having a good translation is critical. John 1:1, 14 says in the TNIV, “In the beginning was the Word, and the Word was with God, and the Word was God. The Word became flesh and made his dwelling among us. We have seen his glory, the glory of the one and only [Son], who came from the Father, full of grace and truth,” but the best versions read more correctly, like, “In the beginning was the Word, and the Word was with God, and the Word was God. And the Word became flesh and dwelt among us, and we have seen his glory, glory as of the only Son from the Father, full of grace and truth.” The TNIV says of Jesus that He is “the one and only son, who came from the Father,” not even capitalizing the word “Son,” which is a proper noun. How would you like to have your name be John but I spell it “john,” not even respecting you or your name enough to capitalize it?! In 1 Corinthians 13:7 it says love “Bears all things,” but the TNIV is paraphrased and reads love “always protects.” This is radically different from the original manuscripts and is moving into error, so the TNIV isn’t recommended for Bible preaching, teaching, or studying, and it can confuse new believers. One of the worst errors of the TNIV is that the word “because” or “for” has been omitted 30 times in the book of Romans. That is about as blatant as an error in translations that I have seen in my lifetime. Only the New World Translations (NWT) is worse than the TNIV, but both should be avoided. Unfortunately, the TNIV makes significant changes in the gender language that is in the NIV, and like the NIV, the TNIV may vying for a place as the church’s commonly accepted Bible, however, I believe that any commonly accepted Bible of the church should be more faithful to the language of the original. Don’t you? Again, in the Gospel of John, the word “Jews” is often mistranslated “Jewish leaders,” but that may not always be the case. Jews sometimes means, Jews, and not Jewish leaders, so that’s why I recommend the ESV or the NASB, and even the New King James Version. The King James Version is beautiful and has such poetic language, but it’s not the best translation either because the world “servant” is mistranslated dozens of times as it should be correctly translated as “slave.” This occurs in dozens of places in the New Testament, so even the old reliable King James Version is not without problems; however it is not a heretical Bible. Most translation problems or issues disappear when using the ESV, the NASB, or the New King James Version, and remember, we want our Bibles to be as close to the original Greek, Hebrew, and bit of Aramaic as we can. This ensures that we get the message in the proper context by sticking as close as possible to the original manuscripts. 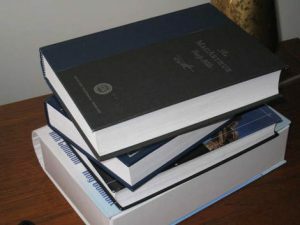 There are enough good Bible translations out there to fit most people’s needs, but I cannot personally recommend the TNIV because there are just too many issues with it, and why would we need another translation when we have perhaps the best already available in the ESV, the NASB, and the New King James Version? When we try to modernize the language into our times, we can edit, omit, or mistranslate words, and any time we mess with the original manuscripts to make it more readable, we are tinkering with the very breath of God because all Scripture is inspired by God (2 Tim 3:16). Different translations are not inspired by God. That’s an important difference to note. Not all Bible translations are equal. Many are plainly heretical (like the New World Translation or the NWT). That’s why it’s essential to study and read about each Bible before you buy it. Read the reviews and what scholars, pastors, and teachers are saying about it before you buy it. Newer is not always better, and besides, if our current translations are not broken, why fix them? We already have the whole counsel of God in many good Bible translations. To simply add a new one for the sake of it’s being new or more readable, or to fit our modern language or vernacular, is to take too much liberty with the Word of God, and we’re warned, “You shall not add to the word which I am commanding you, nor take away from it, that you may keep the commandments of the Lord your God which I command you” (Deut 4:2). Even in the Book of Revelation, there is the warning to “everyone who hears the words of the prophecy of this book: if anyone adds to them, God will add to him the plagues which are written in this book” (Rev 22:18). I believe many Bible translations do that, and that’s all the more reason to avoid them like the plague. Here is some related reading for you: What Are the Best Bible Translations?